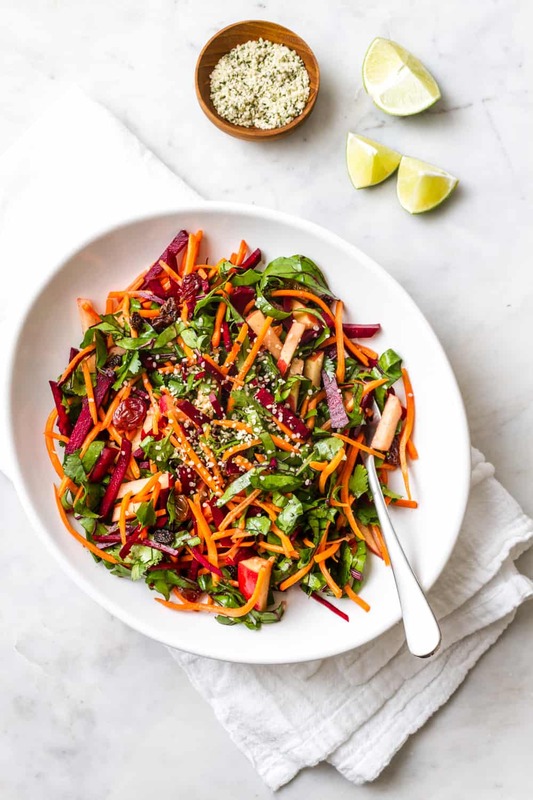 This detox salad is a fresh, vibrant and healthy combination of detoxifying beets, beet greens, crunchy carrots, crisp apples, cilantro, naturally sweet raisins and protein rich hemp hearts all tossed in a fresh and flavorful citrus ginger dressing! Time to detox! 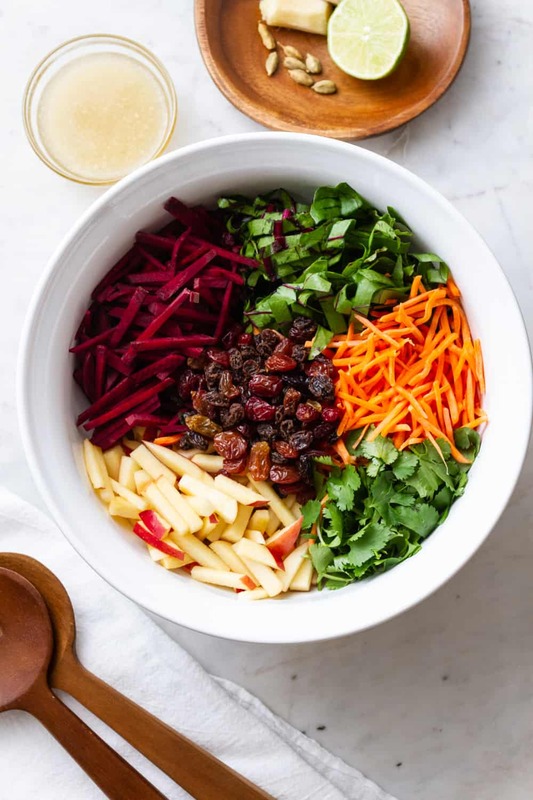 This clean eating, detox salad is full of delicious, fresh flavors, and loaded with nourishing fruits and vegetables rich in antioxidants, vitamins and minerals! 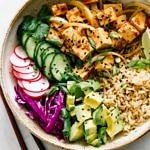 Loaded with important nutrients your body needs, this Detox Salad can aid your body in fighting free-radicals and pollutants encountered on a daily basis. Your liver specifically is the part of your body in charge of removing these unwanted toxins. 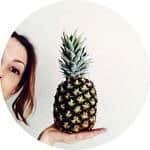 It’s important to replenish your body with amino acids, antioxidants, minerals, vitamins and nutrients to deactivate these toxins and flush them from the body. 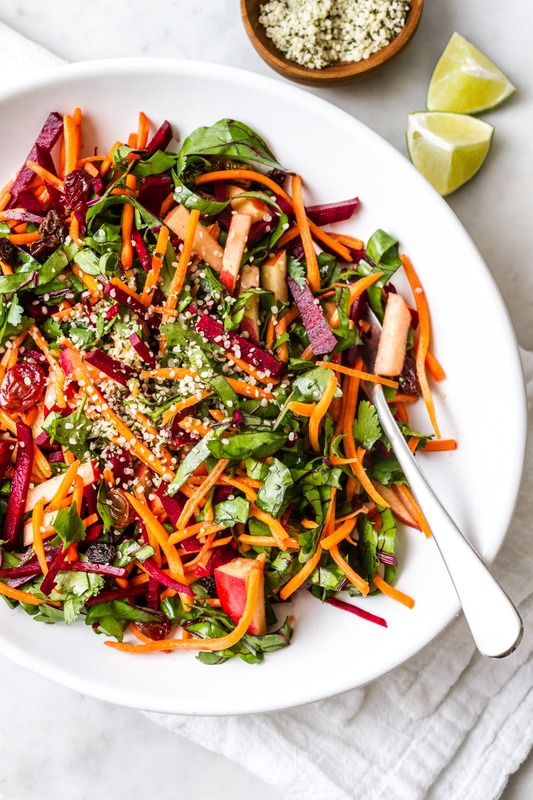 Eating nutrient dense foods, like this detox salad, will help keep you healthy. And after a long weekend of trials with the last recipe, Pizza Pie + Balsamic Tomato Sauce + Roasted Vegetables, it was time to get away from heavy, carb filled foods and get into something fresh & vibrant, and this detox salad was just perfect. 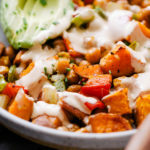 I can literally make a large batch of this salad and graze on it all day long! 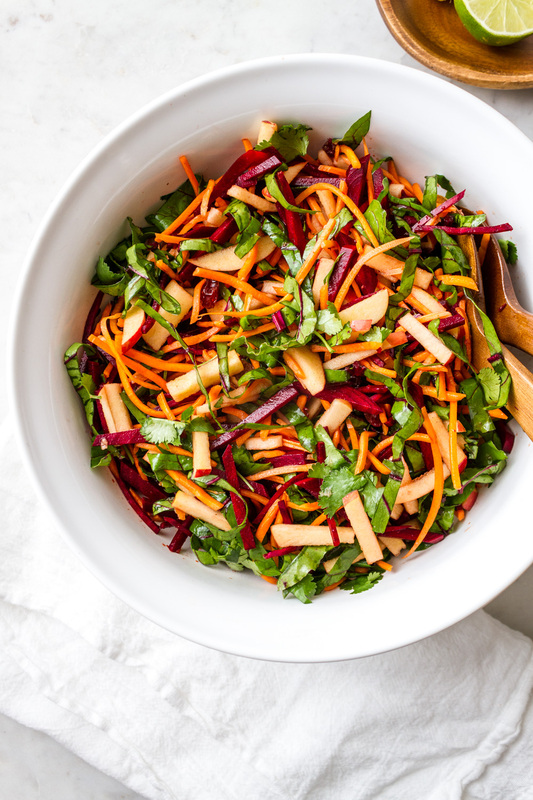 This fresh detox salad features flavors of sweetness from the raisins, carrots and apple, a little earthiness from the beets, a slight sour from the lime juice, and some zest from the ginger and cardamom. Add to that how easy it is to make, and it’s a definite detox salad keeper. And I know you’re going to love it too! 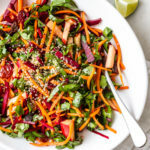 This nourishing detox salad includes ‘Super Food’ powers to help cleanse the liver and help detox the body of daily pollutants. Your liver works hard to eliminate contaminants and these powerful ingredients will help get the job done! Beet with greens – Sweet, earthy flavored beets are full of antioxidants and acts as an anti-inflammatory. Apple – Sweet or sour, apples rich in important antioxidants, flavanoids, and dietary fiber. There is fiber is in the skin, so eat the skin whenever possible. Carrot – Sweet carrots have the ability to improve the skin, boost the immune system, optimize digestion and protect cardiovascular health. Cilantro – Fresh cilantro is brightly flavored and can help cleanse the body of toxic metals, and is a great source of antioxidants, vitamins and minerals. Organic Raisins or Golden Raisins – Naturally sweet, raisins contain vital minerals and vitamins like calcium, iron, magnesium, zinc, vitamin B, and C.
Hemp Hearts or Sesame Seeds – Full of heart healthy omegas, these seeds contain proteins, fiber and are an easy way to help detox your body, sprinkle them everywhere. Lime Juice (lemon is fine too) – Lime is a tart fruit bursting with both vitamin C and antioxidants. Ginger – Zesty ginger root is packed with healing compounds and can help aid digestion, fight nausea and to treat cold and flu infections. For the beets, feel free to use golden beets instead. Red beets can be a bit messy. For this reason I decided to chop my beets instead of grating them, which tends to be really messy. Here we can use the beets and the greens – a win all around! If you can’t find the beets with their greens, use chopped spinach, dandelion greens, even lacinato kale (aka: dinosaur or Tuscan kale) would be great as they are all detoxifying as well. This salad tastes better the longer you’re able to let it set and the flavors mingle. This is a great salad to prepare in advance and store in the refrigerator until ready to serve. 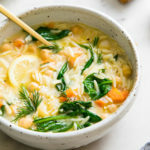 Start by making the dressing, combine the lime/lemon juice, ginger, cardamon and maple syrup together in a small bowl and set aside to let the flavors mellow and come together. Julienne the beets, beet greens, apples and carrots. Place them in a large bowl with the raisins and cilantro. Serve topped with a good sprinkle of hemp hearts or sesame seeds, and some extra raisins if you like as they add a nice sweetness. And there you have it, a nourishing detox salad to keep you healthy and well! Help keep your body nourished with these other fresh and nutrient dense salads, you just may find a new favorite! If you try this detox salad recipe, please let us know! Leave a comment and rate it below. I love to hear what you think, or any changes you make. In a small bowl, mix together the dressing ingredients. Set aside to let the flavors mellow and come together. Check dressing for flavor before serving. Serves 2 large portions or 4 -6 small portions. If you don’t find beets with the greens, use spinach, dandelion greens or lacinato kale instead. Use golden beets in place of red beets to keep the color mess to a minimum. The cardamom can be optional. If you don’t use it often, there is no need to buy this just for the salad dressing although it is delicious and you may find other uses for it either here soon, or elsewhere. If you don’t have it, you will still have a great dressing. This salad tastes better the longer your able to let it set and let the flavors mingle. This is a great salad to make in advance and store in the fridge until ready to serve. Are the beets cooked first? Never had them raw! The beets are eaten raw here. They are crunchy like carrots, and earthy flavored. If you’ve never had raw beets, you’re in for a treat! People have always tried to convince me that I'd like beets if only I made them a certain way, and I always thought they were crazy–until now. I'm definitely going to put this in heavy rotation. Thanks so much for the recipe! 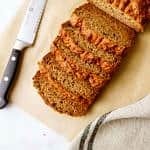 Thank you for sharing this recipe – it is absolutely delicious! I hate beets and think they taste like soil, but I'm trying to detox my liver so I made this and absolutely loved it. I think the ginger lime dressing really helps tame the soil taste. And cardamom is my favorite spice. People have always tried to convince me that I'd like beets if only I made them a certain way, and I always thought they were crazy–until now. I'm definitely going to put this in heavy rotation. Thanks so much for the recipe! This is quite possibly my favorite salad ever. I've taken to calling it "Beet Salad of Love and Earthy Deliciousness" – somehow "Detox Salad" just doesn't seem to do it justice. Thanks so much for this and all of your other recipes! I just had flashbacks to the mushroom ale pie at Mildred's. It was the only place I went twice when I visited London in 2006. It's a perfect way to get those who care for beets much to enjoy them! Beets are at the top of my list for adding to salads. I know not everyone enjoys their earthy flavor but I never tire of them! Your salad looks amazing and something I would enjoy. I do keep cardamom on hand as I love it in my chili recipes.